Bring your floors back to life and add value to your home with D.R. 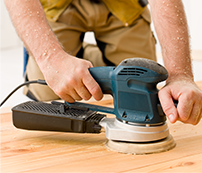 Main’s flooring services in Brisbane. Family owned and operated, we take pride in our work and deliver custom solutions and expert advice while completing your project to the highest standard. 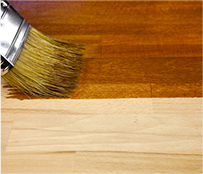 We specialise in a range of finishes for all wood types, to suit your style while offering protection against wear and tear including gloss polyurethane, satin waterbase, sikken cetol HIs and commercial finishes. Find out more about the right service for your floor type and get in touch today. 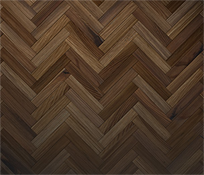 Reveal for the first time, or enhance the natural beauty of the wood-grain in your timber floor with professional sanding and polishing. Give your home a fresh, new look with our specialised staining techniques offering a range of colours and styles to protect and revitalise your floors. 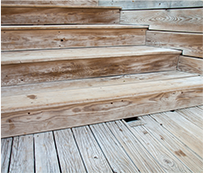 We’ll sand, stain and oil any deck, including stairs and ramps. Increase street appeal and property value while creating an outdoor living area to be the envy of your neighbours. Stairs are the most worn areas of your floors and need the most care. Refurbish your stairs to keep them strong and looking their best.